Workstation overhead crane can provide you with many type of construction or industrial work which you simply handle. It is one of theses brilliant overhead cranes because they are very versatile and have an excellent handle on some items which you lift. In fact, the crane not only has diversified functions, but also has a wide variety of features. According to the structure of the bridge, it is divided into single beam and double beam bridge cranes. The double beam structure is the type which is the most widely use. 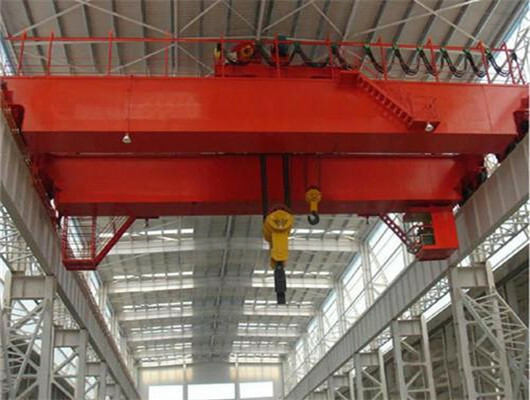 In addition, according to the lifting equipment, it is divided into a bridge crane with hook, an electromagnetic bridge crane and a grab overhead crane. In order to make the bridge crane with hook which can be suitable for use in more occasions, it is also possible to install a replaceable electric disk or motor grab on the hook for more functions. 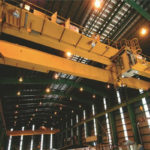 Our experts can design different types’ overhead cranes. 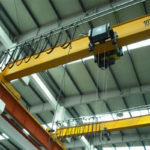 The workstation overhead cranes are the most widely used type of lifting equipment in the machinery manufacturing and metallurgical industries. It doesn’t occupy the floor space. It affects the work on the ground. It is very convenient to operate in any range. As the leading manufacturer and supplier in construction machinery in China, we make the customer first and keep the product’ quality first. 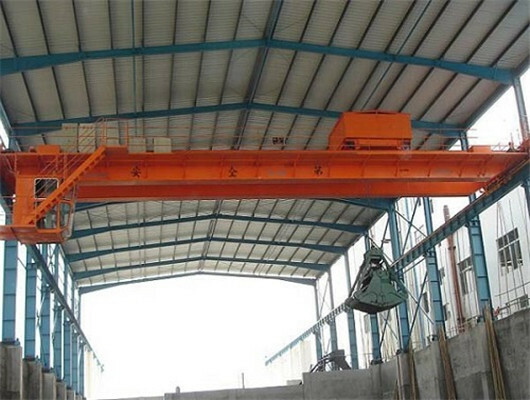 The bridge crane is one of the most widely used mechanical equipment. Maybe the old overhead crane is limited by the traditional design concept, the product has a large weight and the manufacturing cost is too high, as well as the operation energy consumption is high. However, our company’ experts use modern design theory and scientific methods for the lightweight design of traditional products, which can achieve the purpose of energy saving, material saving, and electricity saving. The way is one of the key tasks, which upgrades the traditional overhead cranes and enhances the product efficiency. So, after the development of several decades’ years, the current application of this technology can achieve energy savings and environmental protection in our company. Our crane equipment can reach the entire space without occupying operation processing system of the ground channel. The suspended cranes are responsible that it carries valuable components in the workshop and sends them to the assembly site, which saves valuable time and greatly reduces the risk of damage. Lifting systems don’t pass through the ground, which canmake optimal usage of space. Reliably connect all production links of a limited assembly plant. 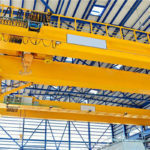 If the design and install are reasonable, the workstation overhead cranes can be directly transported to the adjacent workshop handling mechanism, without wasting time for heavy objects. Due to the structure-limited crane with beam suspension equipment, the impact of the trolley is very small, which can coversalmost all the workshop space and enhances working process. The weight of the crane is very light, so that the load on the roof structure is very small. The products has extremely low structural height and best hook size. According tothe certain structural form, the crane can adopts optimal use of area. 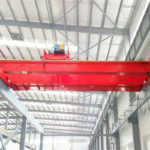 Thanks to these advantages of Weihua lifting equipment, the structural design of the workstation can be considered during the installation depending on the customers’ requirements . Workstation overhead cranes are mechanical equipment that is used to lift various objects in a variety of workplaces such as workshop, warehouse, open dump and so on. It is the most widely used lifting appliance equipment in the mechanical, metallurgical and chemical industry. In the modern industrial enterprises, it is also one of the important equipment for realizing the mechanization and automation of the production process, which can reduce the heavy physical labor and improve the production efficiency. In addition, the product can save on investment and production costs. We can take some measures to keep the safety of products and personnel.We will reduce the price of our products on the premise of ensuring safety facilities. For example, the shell of all the parts of the crane can be grounded reliably so as to avoid accidental electric shocks to the operator. When the trolley track is welded on the main beam, it can also be grounded by welding. Our experts adopt the physical principles, which ensures the implementation of safety measures. We uses the special materials to produce our equipment. They have high quality of reasonable structure, easy operation, low noise and good performance. If you want to order our products, please get ti touch with us as soon as possible. We will give you reasonable discount. In recent years, owing to the development of engineering technology, lifting equipment is an indispensable part of many production processes. 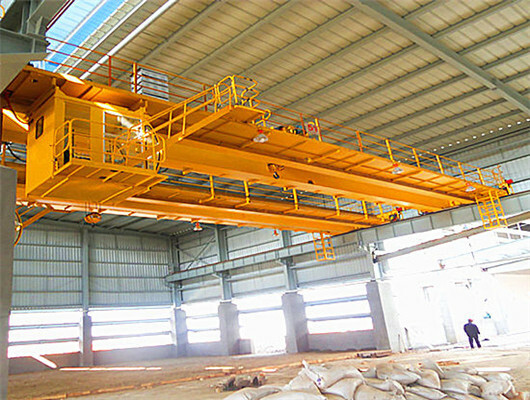 The single girder workstation overhead crane has advantages of reasonable compact, lightweight, safety and reliability. In addition, its parts have various range of usage and high lifting capacity. The product still has easy maintenance and other characteristics, which is widely used in different sites and very popular light lifting equipment. According to utilization class and loading condition, the crane can operate different working process. 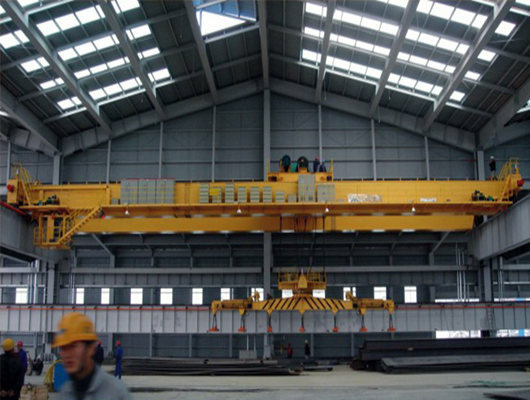 Compared with double beam overhead cranes, the single beam crane has light weight and small operation process, it has the flexible structure and beautiful exterior. According to standard design, the crane is safety and efficient. It can meet clients’ some requirements of the energy conservation and environmental protection. The double girder workstation overhead crane is a device that must be suspended across a fixed span to load and unload various materials. The trolley travelling mechanism adopts frequency, stable operation and higher stability. At the same time, it uses a set of remote controller and controls the design of the main and auxiliary hooks. According to the weight of the material, it can be free to switch the control mode. Then, a weight indicator is installed on the crane hook, which instantly displays the weight of the goods being transported and eliminates the cost of secondary weighing. As the customer uses the main hook to lift the object, the auxiliary hook assists the turning. This crane of our company has specially optimized the placing position of the hoist in the design, so that the main hooks can keep in the same straight line along the direction of the main beam in terms of usage. If you install the overhead crane, you can design a pedestrian-repaired passageway, which facilitates maintenance of the later period. 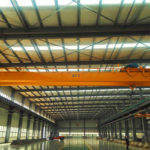 The workstation overhead crane is the important tool and equipment for mechanization and automation of the production process in modern industrial crane transportation. 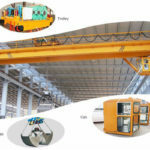 Lifting equipment of our company relies on high quality reputation in order to pursue pragmatic and stable high quality. Our firm has rigorous quality management, which makes each of our cranes safe, practical and beautiful. It can fully meet user needs. We have an experienced inspection and inspection team. 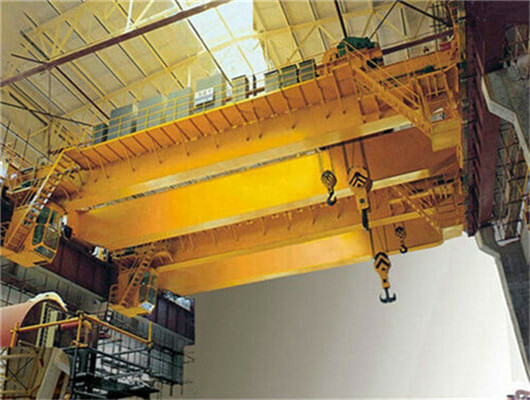 Each Weihua crane is under the full supervision of our inspection engineers. 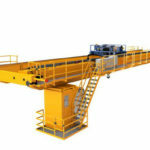 Through modular depiction of the crane, we select leading technology to produce our equipment. 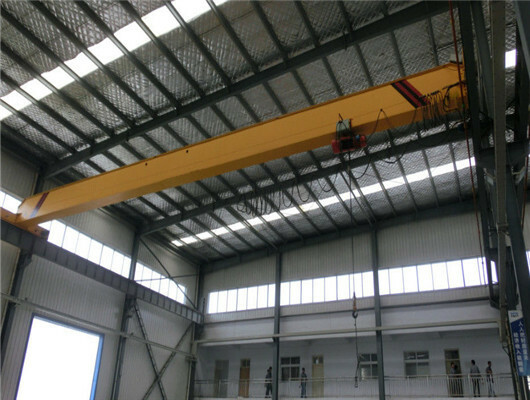 From the hoist, end beam to the main girder, these parts have reasonable plans and structure, and the weight is far lighter than traditional cranes’. There is less demand for workstation and a wider scope of application. What’s more, it can save cost. If the customers want to customize the crane equipment, our group can help you and give you reasonable advice according the requirement. Warmly welcome new and old customers to visit our factory. The workstation overhead crane is essential in enhancing working efficiency and improving work condition. After more than 30-year development, we are now one of the leading manufacturers and suppliers of construction machinery in China. 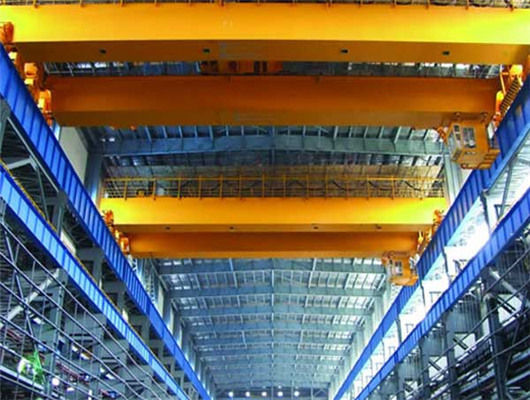 Currently, our firm can supply clients from all over the world with various overhead cranes. Our products have exported more than 60 countries and regions. In the future, we are willing to work together with you to add luster to your business and create brilliance together. When you have learned the crane information, if you have other questions, you can contact us. We will spare no effort to help you. 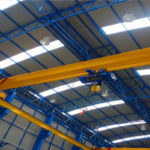 If you have the demand about the workstation overhead cranes, please call or email us as soon as possible.